Based in Brighton, Tom is a lover of music, colour and story telling and works as a choreographer, movement director, teacher and performer. After growing up in Cornwall, Tom began his professional dance training at Laban and London Contemporary Dance School where he trained as a performer and began to create choreography on his peers. 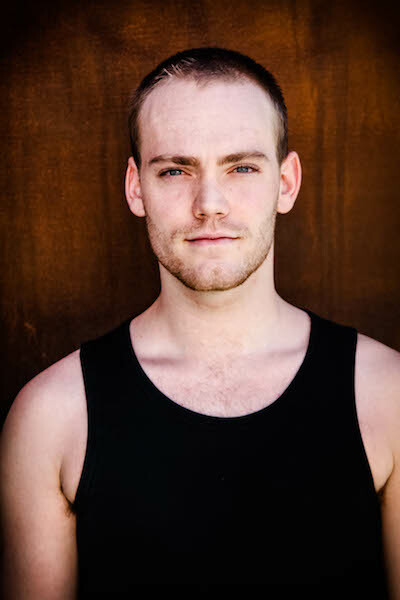 Since then Tom has worked in many different fields as a performer including working for Kneehigh Theatre, Cameron McMillan Dance, Cscape Dance Company, Secret Cinema, Jonathan Watkins and the Royal Opera House. In 2010 Tom joined Matthew Bourne’s New Adventures Company touring extensively in ‘Cinderella’, ‘Nutcracker’, ‘Early Adventures’ and ‘Sleeping Beauty’ in which he created and performed the role of ‘Carabosse/Caradoc’ throughout the UK, Europe and the USA. Tom has always been interested in direction and choreography and this interest continued whilst performing. In the summer of 2011, Tom was announced as the runner-up in the first-ever New Adventures Choreography Award. With support and mentoring from Matthew Bourne, Tom premiered his solo ‘Vanity Fowl’ at Sadlers Wells Theatre in September 2012, which coincided with launching his choreographic career. As a creator Tom loves to break conventions, make his own collaborative work and ultimately strives to invigorate audiences new to dance and theatre with a highly visceral energy, immersive narrative, humour, colour and emotion. In the last few years Tom has started working as a choreographer/movement director for plays, musicals and music videos that have been performed and shown throughout the UK and enjoys constantly exploring these new ventures. In 2015 Tom was announced as a winner of a ‘Bonnie’ being awarded the Marion North Mentorship Award in conjunction with Pavilion Dance South West. 2016 holds new creations, new theatrical projects, mentorship as well as continuing to work closely with Matthew Bourne and Kneehigh Theatre. Thanks to Arts Council England for on-going support.